With great fame comes great visibility, which is why sometimes you're better off staying in the shadows and being an awesome secret for a small group of fans than a global sensation. Just ask "Harlem Shake" creator Baauer. Yes, his song recently hit the #1 spot on the Billboard singles chart and has become the biggest viral hit since "Gangnam Style." But now two musicians are coming after him with claims that "Shake" features unlicensed samples of their music. According to the New York Times reggaeton-artist-turned-evangelical-preacher Hector Delgado and Philadelphia rapper Jayson Musson both claim that the song samples their vocals without permission and they are now seeking compensation. Delgado, who is now a preacher in Puerto Rico, and Musson, a member of the rap crew Plastic Little, recently found out from colleagues that they are on the hit song. According to the Times, it is Musson's voice yelling the song's signature refrain, "Do the Harlem Shake!" "It's almost like they came on my land and built a house," Delgado told the paper. Both men are looking for payment from Baauer's label, Mad Decent Records, which released the single last June. While a spokesperson for Mad Decent could not be reached for comment at press time, Musson and Delgado claim that the song uses bits of their music without proper permission. Specifically, the first 30 seconds of the song — which is the bit used in the tens of thousands of viral "Shake" videos — Delgado (who recorded as Hector El Father) can be heard singing "con los terroristas" ("with the terrorists"), followed by Musson chanting "Do the Harlem Shake," which is the point in the videos where the screen explodes with groups of dancers freaking out. The song was birthed on the Philadelphia hip-hop scene, where Baauer (born Harry Bauer Rodrigues) worked as a DJ under the name Cap'n Harry. He previously told the Daily Beast that he found the recording of Delgado online, explaining, "the dude at the beginning I got off the Internet, I don't even know where." The sample is from Delgado's 2006 single "Maldades," and is something of a trademark catchphrase that he used on several recordings. Musson's sample is from a 2001 song by Plastic Little called "Miller Time." 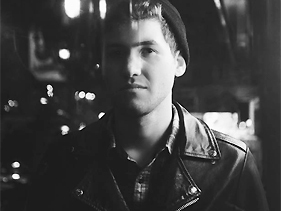 Baauer has not commented publicly on the controversy and the Timesnoted that the claim shines a light on the sometimes free-for-all nature of the underground music scene. While securing licenses for samples — even brief ones — has been standard practice in the music industry for nearly 20 years, smaller labels like Mad Decent don't always have the resources to have lawyers scrutinize songs, relying on the producers/artists to make sure there are potential copyright issues on their songs. "You don't have the same checks and balances that you would if it were done by a corporation with a legal department," said David Israelite, the president and chief executive of the National Music Publishers Association. After topping the Billboard 100 charts for three weeks, "Shake" has rolled up 816,000 downloads to date, according to Nielsen SoundScan. It was originally available as a free download in May 2012, then as part of a paid EP in June. Musson said he called Baauer to thank him for doing something "useful with our annoying music," and is still negotiating in a friendly manner with Mad Decent for compensation. Delgado's team has also been in talks with Mad Decent and his lawyer is confident an agreement will be reached. "Hector will get what he deserves," said Delgado's former manager, Javier Gomez. "We can turn around and stop that song. That's a clear breaking of intellectual property rights."